Published: Wednesday, September 10, 2014 | 12:27 p.m.
PALM BEACH GARDENS, Fla. — The PGA of America, in partnership with Major League Baseball, Major League Soccer, NASCAR, the National Basketball Association, National Collegiate Athletic Association, National Football League, National Hockey League and the United States Olympic Committee, is proud to host the third annual Sports Diversity & Inclusion Symposium at PGA National Resort & Spa, Oct. 21-22. 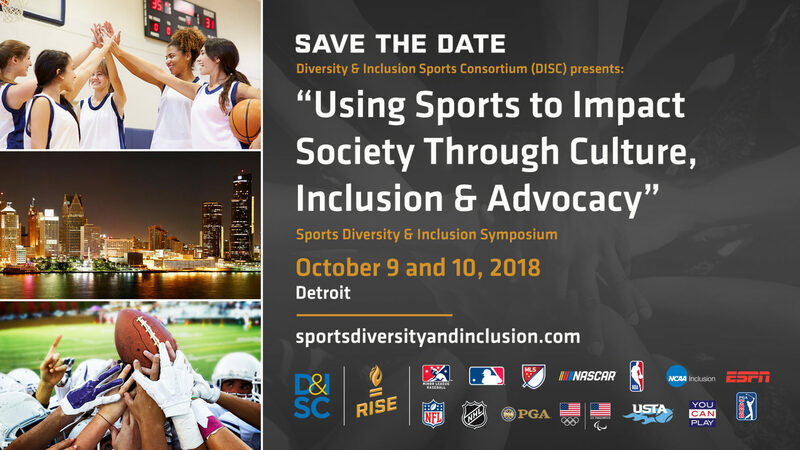 The symposium provides a forum to discuss, evaluate and create tangible solutions that drive greater diversity and inclusion in today’s sports culture. Designed to recognize, celebrate and encourage diversification in the world of sports, the forum will feature influential and prominent leaders from Olympic, Paralympic, professional and amateur organizations in expert panels, roundtable discussions and general sessions. The keynote speaker is Max Siegel, CEO of USA Track & Field, who has built an impressive career across sports and entertainment that includes driving sponsorships as President of Global Operations for Dale Earnhardt Inc., and working on the executive team that handled the careers of Britney Spears, Usher and Justin Timberlake. “The PGA of America is honored to host the 3rd Annual Sports Diversity and Inclusion Symposium, which is a uniquely special opportunity to learn from a talented pool of D&I experts from across the business of sports,” said PGA of America Senior Director of Diversity and Inclusion Sandy Cross. To learn more about the PGA of America, please visit PGAMediaCenter.com.